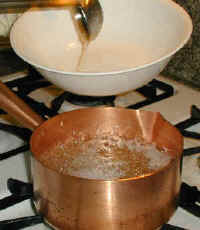 ... and add the water. 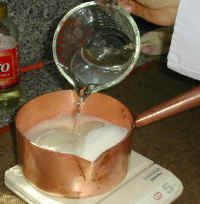 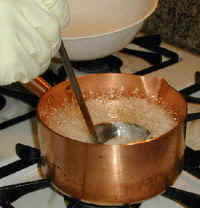 Bring the sugar syrup to a boil and start scooping the foam from the sugar using a ladle. 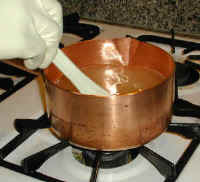 Pour the foam into another heat resistant bowl. 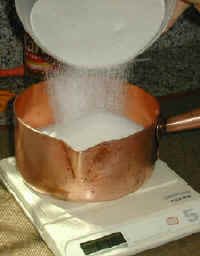 The foam you are removing is a whitish residue that contains impurities naturally present in sugar.